The alpine barns of the Carnic Alps are important protagonists in the mountain landscape of Friuli Venezia Giulia, ancient shepherds houses in which milk is still today turned into dairy products such as cheese, fresh and smoked ricotta, butter, yogurt, cheese dishes and caciotta cheese. 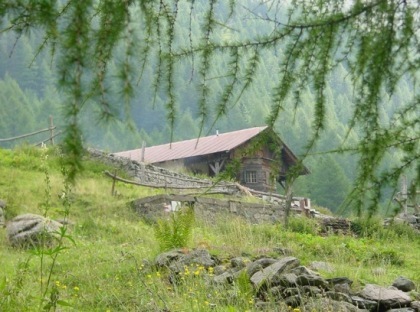 One of the closest to the Goccia di Carnia plant is the FLEONS DI SOTTO malga (1571 m altitude) that is located in the beautiful Fleons Close area, the ravine from which the stream Degano flows. To reach it you must pass Pierabech, the small town of Forni Avoltri where you will find our factory and proceed up to the quarry: here you leave the car and continue on foot, you will arrive at the Goccia di Carnia spring and then you must walk up to the malga and pastures.